Ignite Your Book. 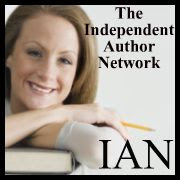 Free book promotion site. A Writer's Guide to Twitter. A really comprehensive guide with everything you want to know about Twitter. The Ultimate Self-Publishing Checklist lists everything you need to self-publish your book, from before you start writing to uploading your finished book files to online sellers. Book Launch Checklist. Good checklist for enyone planning on launching a book. How to Get Traffic to Your Author Website: 30+ Tips for Discouraged Writers. This is a neat list of ideas. Calls to Action. Add calls-to-action in the back of your book to help increase sales. How to Start a Blog covers everything (in step by step fashion) a self-publishing writer needs to know to build their very own beautiful blog (where they can showcase their best work), in just under an hour! Become a WordPress PRO enables you to take your WordPress experience to the next level. If you're past the beginner stage, then this resource is just what you need.